And this babe is taking over the movie screen in a big way. Don’t worry, I’m not complaining. I hope Eiza González is placed in even more roles, and not just because she’s so nice to look at. She’s already been in From Dusk Till Dawn, originally starting as a Telenueve actress, and will also be in Alita: Battle Angel, as well as the upcoming Fast and Furious film: Hobbs & Shaw, and Godzilla vs. Kong. 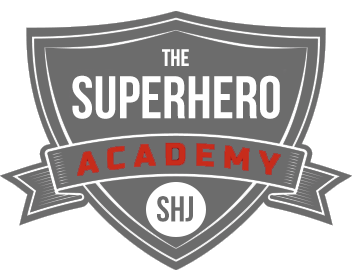 All films we definitely love here at SHJ. We’ll be seeing more of Alita training the next week or so with the coming release, but I’m sure there’ll be more of Eiza González as well. Eiza González is pretty tall. And I said the same about Emmy Rossum last week at the same height. Normally the average height we see for women is around 5’4-5’6 with ladies such as Jennifer Aniston, Margot Robbie, Olivia Munn, Alicia Vikander, Sophia Bush, Tatiana Maslany, Evangeline Lilly, and a ton of others. But then there is also that taller range, and among the tallest (even taller than the 5’7-5’8), are ladies like Gwendoline Christie, Gal Gadot, and a few others – with Phoebe Tonkin, Gabrielle Union, Brie Larson, Nina Dobrev, Daisy Ridley, and so many more coming in around that 5’7-5’8 range. And, let’s not forget the shorter ladies of SHJ like Ariana Grande, Scarlett Johansson, Mila Kunis, Emilia Clarke, Lucy Hale, Julianne Hough and a good handful of others. I write these routines for anyone and everyone. 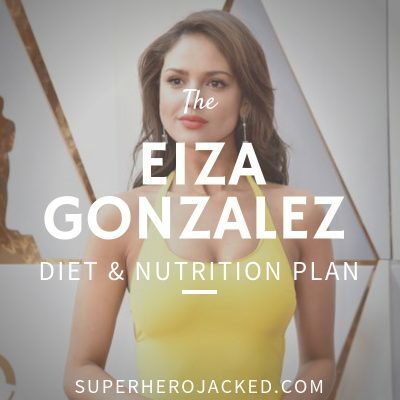 Eiza Gonzalez is pretty health conscious, but also keeps a somewhat minimalist approach to her dieting. She loves to share pictures of herself hiking and working out with her over 4.5 million Instagram followers, and lucky for us: she’s also done a handful of interviews that will give us a better understanding of how she keeps her killer physique. Green juice never goes wrong. If there’s one thing your body can never get enough of it’s greens. It helps with inflammation, eye sight, energy, and purifying your skin. The perks of green juice are endless and you can find incredible options nowadays. Notice how she says “everyday”. You can still eat tacos, of course. So she’s actually utilizing The Zone Diet to gain weight for a role, but then jumped back to what she finds most sustainable. 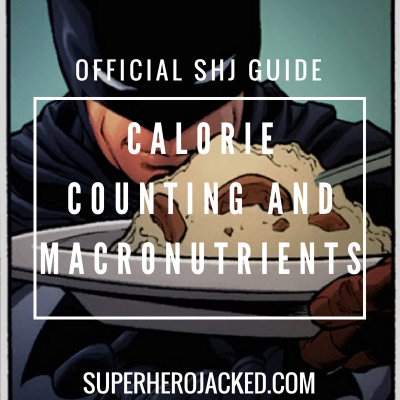 For example: Dwayne Johnson and Kevin Hart incorporate 80/20 dieting with big weekly cheat meals, Hugh Jackman, Benedict Cumberbatch and Terry Crews utilize intermittent fasting(something I use daily as well), Ariana Grande, Mustafa Shakir and Madelaine Petsch are vegans, Brandon Routh and Frank Grillo opt for paleo, and tons of others utilize their own variations as well. And now for the fun stuff. AL: How do you normally stay in shape? She’s not wrong. That’s for sure. 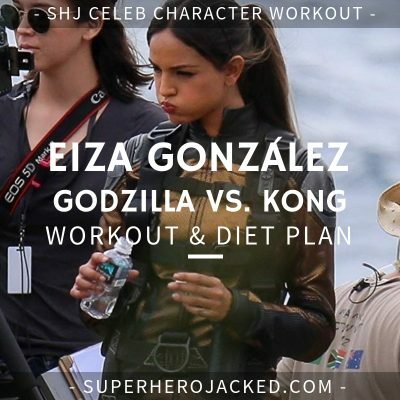 But that’s not all Eiza Gonzalez does to stay in shape and keep moving. Julian Bah, my trainer, is what people would call a BEAST. I discovered and understood my key when I met him. 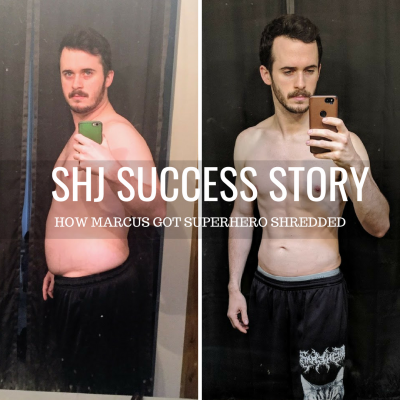 He helps me elevate my testosterone levels with exercise and caters exactly to what my body needs. He’s my nutritionist/guru of body. Also, I love outside activities. Rock climbing and surfing are two of my favorite things in life. We knew about the surfing, somewhat, and I also told you a bit about hiking, but we definitely need to add in some rock climbing. We’ve seen that can be a killer workout routine, and Jason Momoa uses it within his training for Aquaman as well! The reason I’m putting such a high volume for this workout is because it’s really going to be contingent on staying active. I’m going to give you an upper and lower body split for weight training, and in-home workout to use when you can’t make it to the gym, MMA training to choose from (as Gonzalez does mention some boxing), and also the reminder to get out there and use your fitness on all sorts of things that I will name below! Now this part is crucial! Eiza Gonzalez is extremely active. Along with her nutrition, this is truly what keeps her in shape (due to caloric burn/activity level). With this selection, and more, get out there and use your fitness! You can also check out MMA programs on the site from Coach Derek here: Moon Knight, Deathstroke, Daredevil.